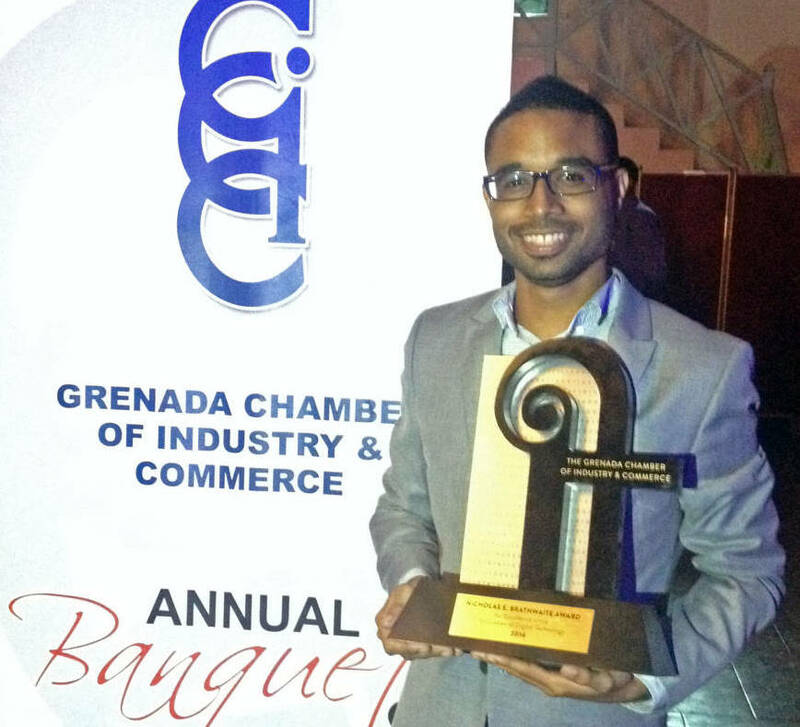 The criteria explained that the successful nominee, among other things, would have embraced digital technology as the core of its operations, and on Saturday night, Aqua Design Inc. became the first company to win the Nicholas E. Braithwaite Award for Excellence in the Application of Digital Technology, at the Annual Banquet and Award Ceremony of the Grenada Chamber of Commerce. A design agency providing creative expertise to local and international clients, Aqua Design since 2008 has been helping organisations to engage and inspire their audiences through creative design. According to its website aqua.gd, its experienced team provides services in advertising, graphic design, web development, motion graphics, and commercial photography. Aqua Design is also the publisher of nowgrenada.com — a daily online newspaper, which since its launch in 2013, receives thousands of daily users, and seen its Facebook page receiving more than 10,000 “Likes”. 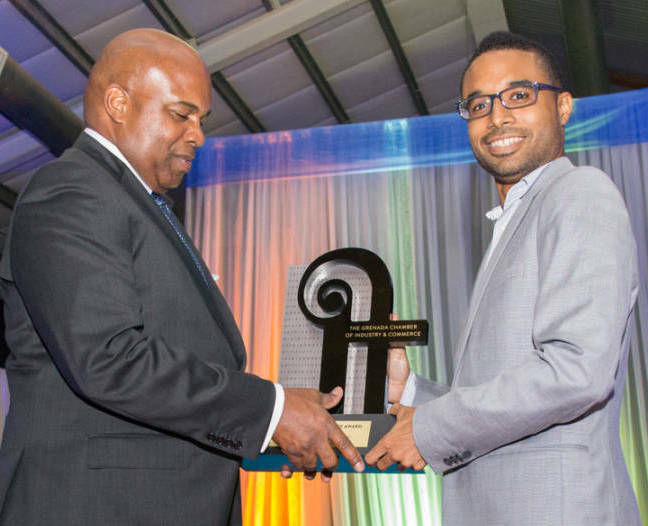 The award was presented to Nigel Mathlin, by Nicholas Earle Brathwaite whom the award is named after, and who was also the featured speaker at the event which was held at the Grenada Trade Centre. In his address, Brathwaite said that Grenada and other regional islands are falling behind in the use of technology as a tool for economic growth. Describing tradition as good, Brathwaite warned that “tradition should not weigh us down” as he called for the region to try new approaches for sustainable and economic growth. Environmental Excellence Cooling Tech Ltd. Manufacturer of the Year – Agro Processing Baron Foods Grenada Ltd. Employer of the Year G4S Secure Solutions Gda. Ltd. Manufacturer of the Year SISSONS Paint Grenada Ltd.
Nicholas E. Brathwaite Award for Excellence in the Application of Digital Technology Aqua Design Inc.